Bibliothèque Nationale (Paris), Latin 5132, 12th century, first folio. According to Barrau Dihigo and Massó Torrents, the ‘redacció primitiva’ (below) predates by about a century the ‘redacció definitiva' that Etienne Baluze had published in the 'Marca hispanica..." (Paris, 1688). 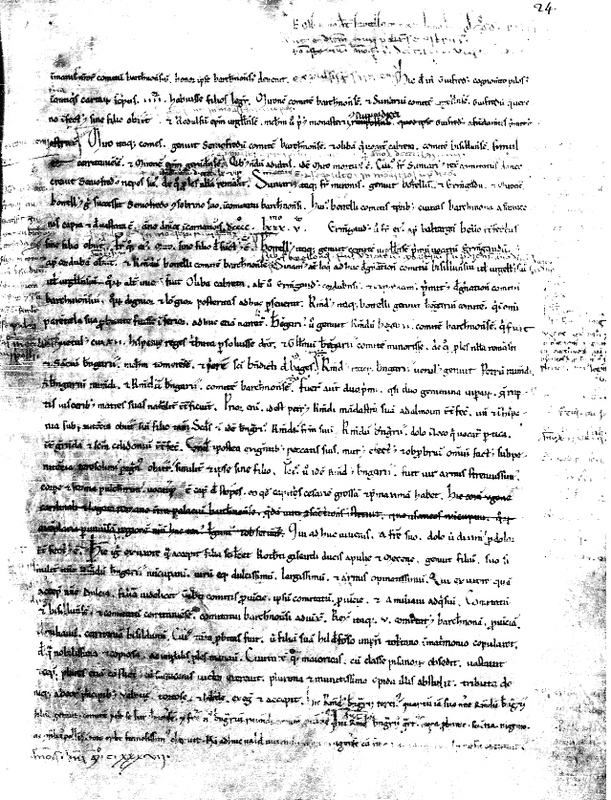 Click on parchment for a comparison with our text which is adjusted line by line to the original. 23. tem euaginato gladio coram omnibus interemit, eiusque comitatum a Narbona usque in Hispaniam solus, dum uixit, obtinuit. 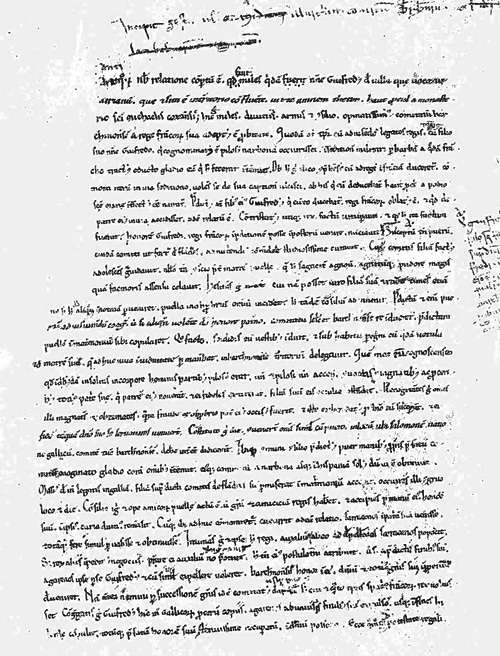 parchments, but omits the second page for unknown reasons. Here is the missing folio from the BnF!